We are EXPERTS. 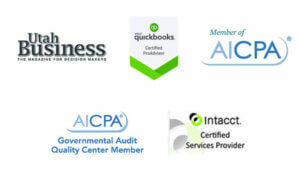 Our team of motivated, specialized individuals guides our clients through the tax, audit, and advisory realms. We serve businesses, organizations, and individuals by staying current and positioning clients for short and long-term financial success. We are PATHFINDERS. We take a grounded approach that helps our clients overcome the obstacles. We help our clients see pitfalls before they arrive, we prepare solutions in advance, and we guide our clients through changing financial environments. We look for clients that have a vision for the future. As clients invest in that vision with us, we help them reach their destination. We are PARTNERS. We stand beside our clients in cycles of prosperity and sustain them through times of uncertainty. We advocate for our clients’ best interests and help them build stronger businesses, organizations, and individual futures. We prepare our clients for what lies ahead, and they feel confident knowing we are on their side. We LIFT. Our company culture is built upon lifting our clients to their highest potential. Our solutions take the burden from our client’s shoulders so they thrive in the spaces they work and live. Our greatest satisfaction comes from helping our clients reach their goals. We are a TEAM. Our firm is built upon personal long-term relationships. As colleagues, we draw upon our collective strength as a regional firm of committed financial experts. We embrace a culture of growth where all team members contribute. For more than 40 years, the HintonBurdick team has shown passion for the work, a drive to learn new strategies for our clients, and a dedication to supporting communities. We support each other as we balance work and family life, and strive for excellence in all we do.